For other ships of the same name, see Russian battleship Poltava and Poltava. 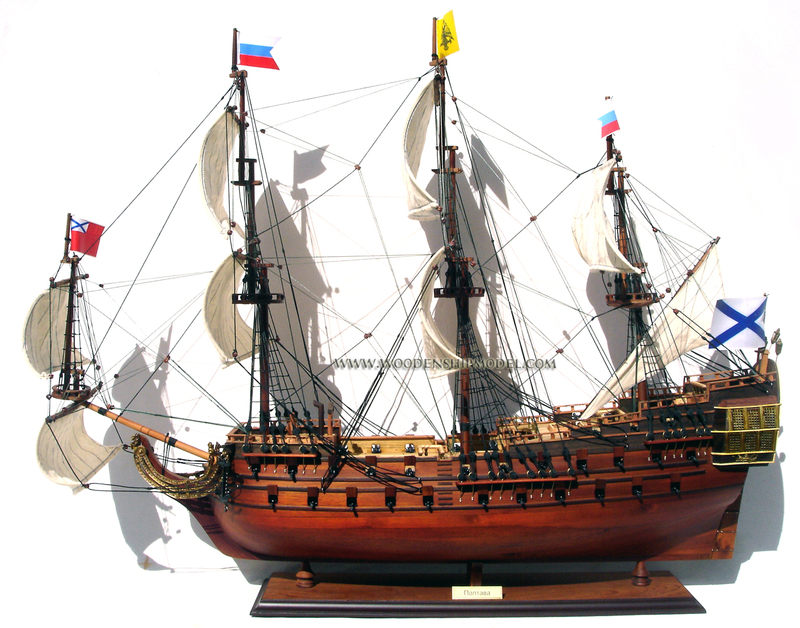 Poltava was a 54-gun ship of the line of the Russian Navy that was launched on 15 June 1712 from Saint Petersburg. The ship was named after an important for Russia victory over the Swedish Empire in the Battle of Poltava and became the first battleship laid down and built at the St. Petersburg Admiralty. 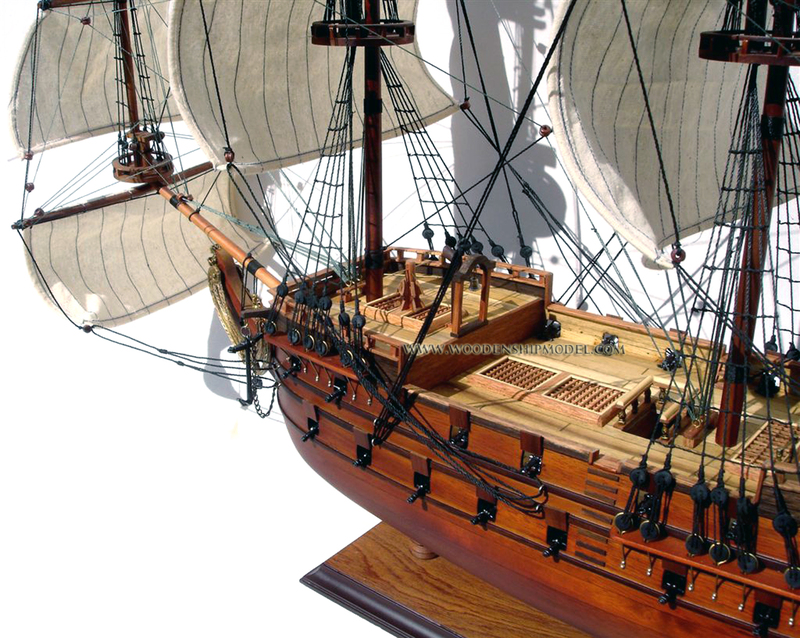 In the 1710s, the ship was sometimes visited and commanded by Peter I, who also took active part in the design and construction of the ship. 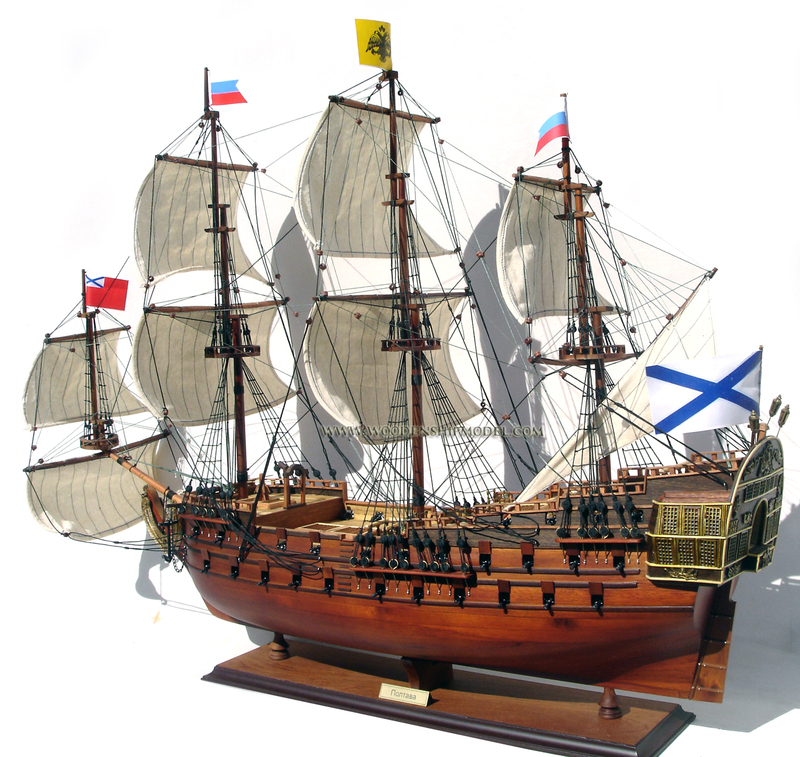 During her service of 1712�1732, Poltava was part of the Baltic Fleet, and before the end of Great Northern War participated in six marine campaigns (1713�1717 and 1721). She was later used for training Kronstadt crews in the Baltic Sea. 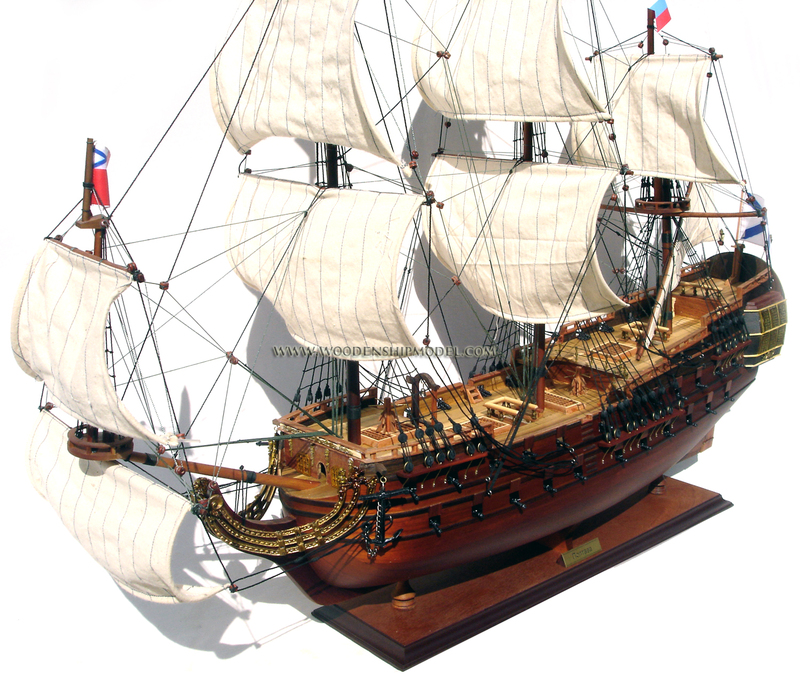 Poltava was decommissioned in 1732. In 1702�1703, Russian troops captured the Swedish fortresses of Noteborg and Nyenskans on the Neva river that provided Russia an outlet to the Baltic Sea. A series of measures were taken in the spring and autumn of 1703 to protect the conquered territories, such as raising the fortresses of St. Petersburg (on Zayachy Island at the mouth of the Neva), and Kronstadt (on the island of Kotlin). 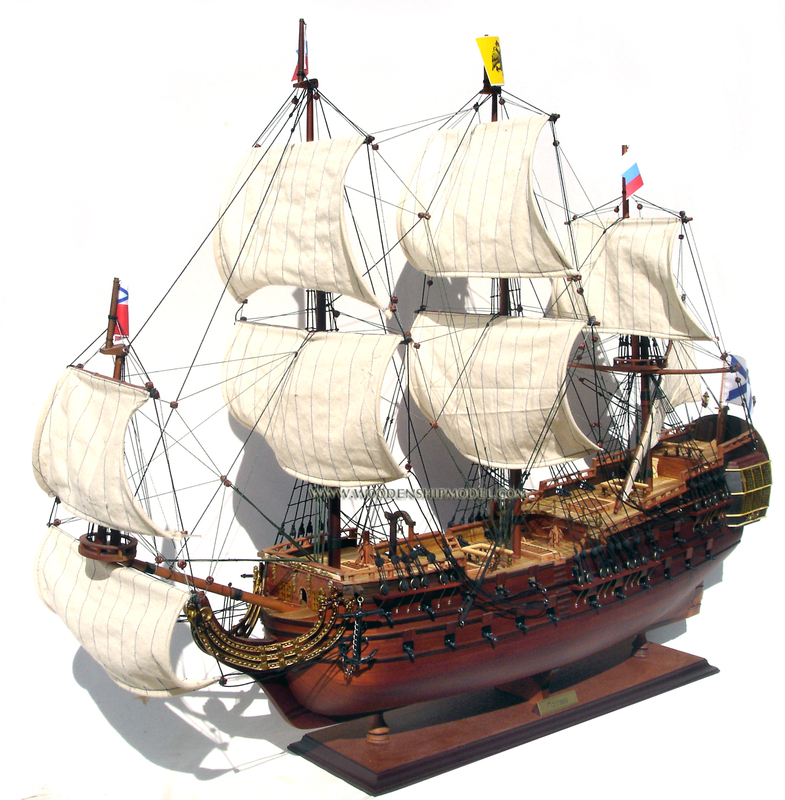 Construction of ships of the newly created Baltic Fleet started only in August 1708 � January 1709 with four 50-gun ships of the line named Riga, Vyborg, Pernov and one untitled. 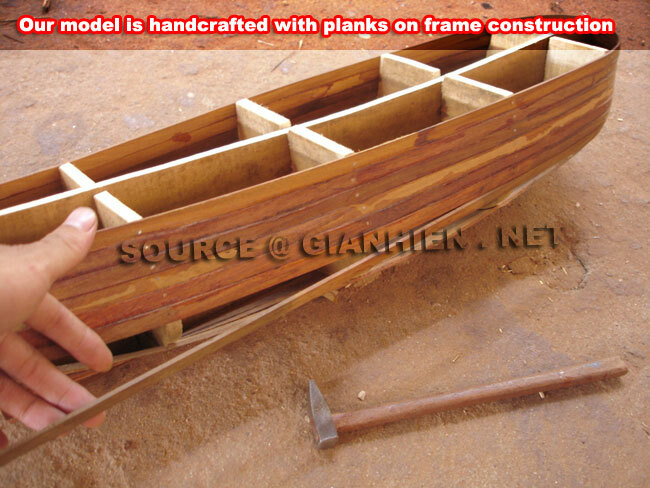 These ships were not full-fledged battleships because they had a small draft and flat bottom that reduced their sailing capabilities. The first military task of Poltava began on 2 May 1713 when on the orders of Peter I the Kotlinski squadron led by Vice Admiral Cornelius Cruys (4 ships and 2 frigates) left Kronstadt for the Beryozovye Islands and Seskar to join the Revel squadron of Captain Commander Reis. The Cruys' squadron was tasked to hold a superior Swedish squadron by maneuvering in the open seas and attack their small groups. The two squadrons met on 8 May, and through the whole month Poltava was sailing at Beryozovye Islands, waiting for the preparations to attack Helsinki by the Finnish corps of Apraksin (infantry) and the Baltic Fleet. Between 7 and 12 June 1713, the fleet was visited by Peter I, who brought 8 ships and a battalion of Preobrazhensky Regiment. Peter stayed on Poltava and inspected the fleet. On 2 July 1713, a Swedish squadron of Vice Admiral Lile (9 ships and two frigates) arrived to Helsinki, which was besieged by Russian troops. On 5 July, 3 more Swedish ships of the line blockaded Revel (now Tallinn) which then hosted five Russian warships recently purchased abroad. After receiving the news, on 4 July Peter I arrived in Kronstadt and raised his flag on Poltava. On 7 July, he ordered Cruys with his squadron to relieve the siege of Revel. On 9 July, together with 12 other ships Poltava left Kronstadt heading for the Revel. In the evening of 10 July the vanguard of the squadron spotted the three Swedish ships at the island of Gogland and began chasing them. However, the next morning the three Russian front ships, Vyborg, Riga and frigate Esperanza run aground and the Swedish ships managed to join the squadron of Lile at Helsinki. Poltava was part of the vanguard, but avoided being stranded. On 16 July, it reached Revel, joined the Russian ships there, and together they returned to Kronstadt on 25 July. In the campaign of 1714, the Russian battleships were tasked to cover-up the galley fleet at Gangut. By early May the Russian fleet included 10 ships with 700 guns at Kronstadt and 7 ships (370 guns) at Revel. By summer, the fleet counted 25 ships with 1070 guns and more than 7000 crew. Poltava left Kronstadt on 20 May and the next day reached Beryozovye Islands, covering the galley fleet. 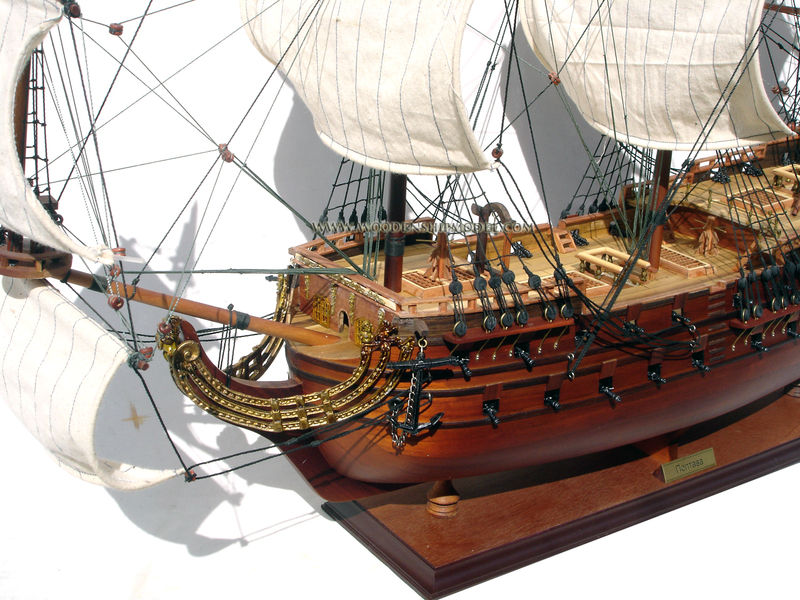 On 31 May, the fleet went to the south where it remained until the night of 4 June, and on 11 June arrived in Revel. On 4 July 1715, within the squadron of Admiral Apraksin (30 ships and 40 galleys) Poltava left Kronstadt and on 8 July arrived in Revel to join the Anglo-Dutch fleet of Admiral John Norris. As Norris has not arrived there yet, the Russian fleet cruised between the nearby islands, and on 24 July met Norris at Revel. After 3 weeks, part of the fleet led by Apraksin left Revel, and nine ships, including Poltava, stayed in Revel for the winter. On 27 January 1716, Peter I included Poltava in the squadron of Captain Commander Sievers for sailing to Copenhagen to join the Danish fleet and the Russian warships stationed in England and Denmark. 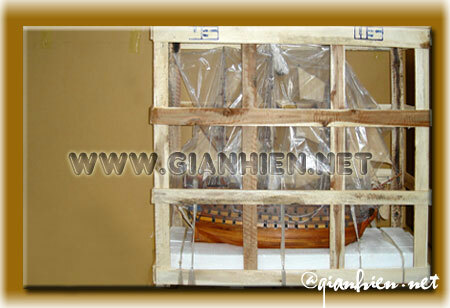 For several reasons, the departure was delayed by several months. A Swedish squadron appeared near Copenhagen, and thus between 20 April and 12 May 1716 Poltava and Revel squadron cruised in the Baltic Sea. After the retreat of the Swedish ships the Russian squadron departed for Copenhagen and arrived there on 19 July. From 5 to 14 August, Poltava cruised in the Baltic Sea as part of the combined Russian, Danish, English and Dutch fleet, and on 22 October returned to Revel. 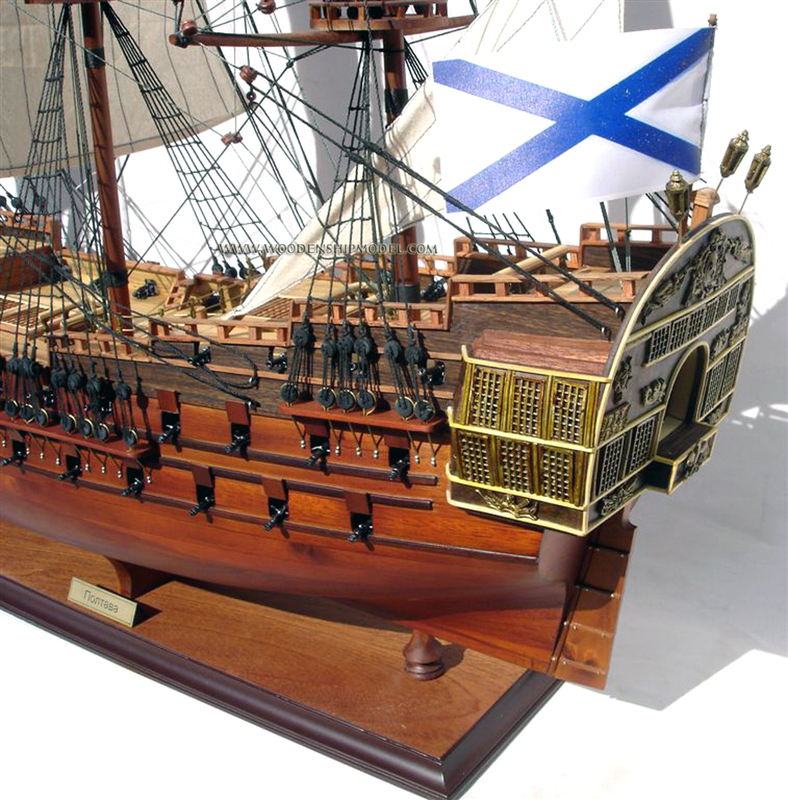 From the end of July 1718 to 1719 the hull of Poltava was refitted at the St. Petersburg Admiralty under the direction of shipwright Blaise-Antoine Pangalo. In April 1720, she sailed to Kronstadt, and in June, within the squadron of Captain Commander Fangoft (9 ships), went to Revel. 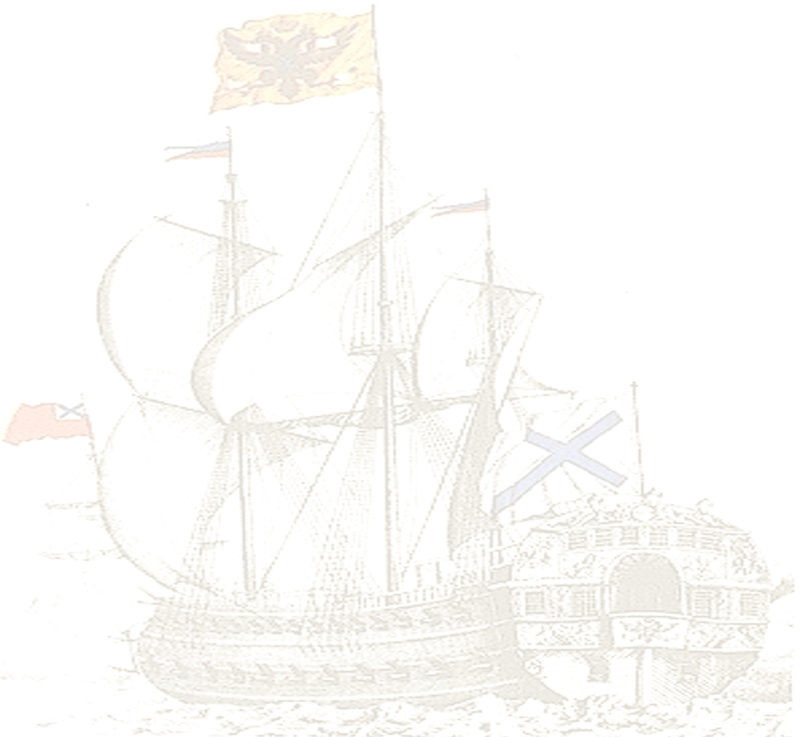 On 5 May 1721, together with seven line ships, Poltava participated in the cruise operations in the Baltic Sea. On 9 May, during a heavy storm at Cape Dagerort, her masts were severely damaged, and the ship was left behind by the squadron. After 8 days, on 17 May, Poltava arrived in Revel and was sent for repairs to Kronstadt. 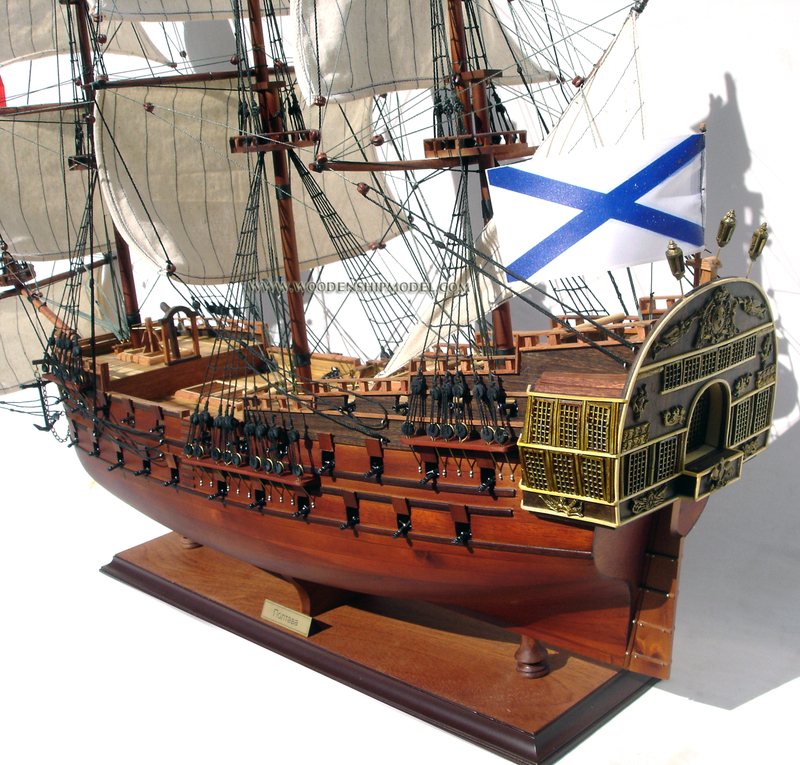 In 1722�1723 the ship was used for crew training in the Gulf of Finland and after 1723 stayed in harbors. 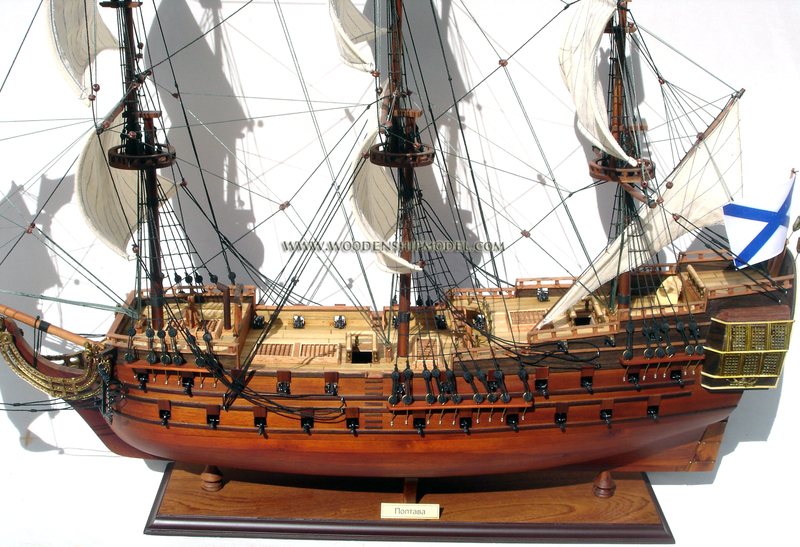 In early 1724 the Admiralty Board assesses the ship as capable to sailing, yet too old and unreliable for a military campaign. 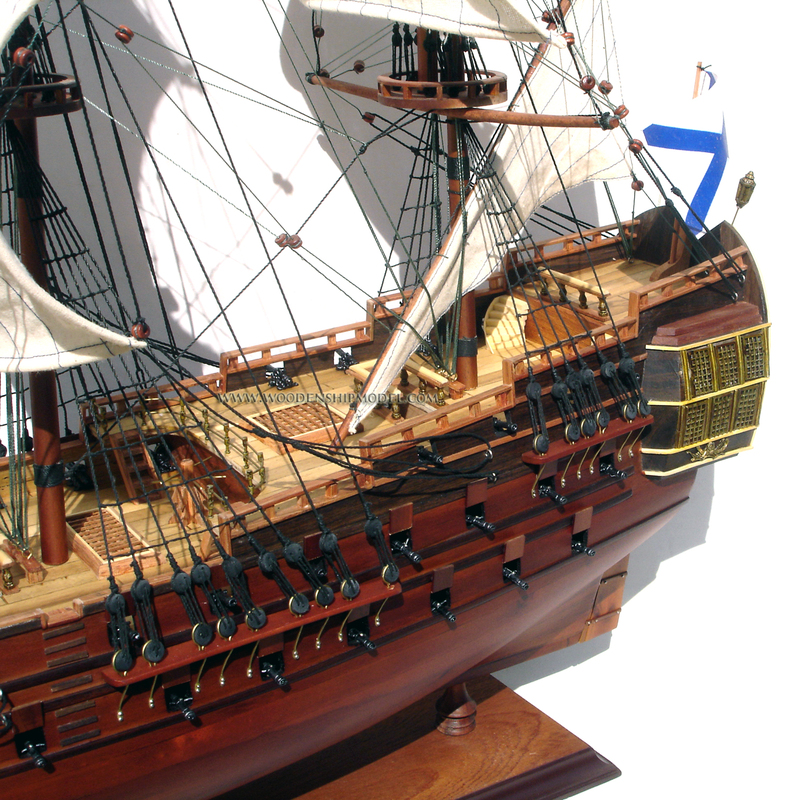 Thus on 13 May 1725, her guns were moved to the ship Moscow. From 1726 the ship was considered unfit because of its age and spent the next two years in Kronstadt waiting for repairs. On 16 January 1729, Poltava, together with Neptunus, Saint Alexander, Revel, Ingermanland and Moscow, was deemed irreparableand dismantled after 1732.